The @madebygoogle Instagram account run by Google often is used to show off the beautiful pictures captured by the cameras found on one of the Google Pixel handsets. Now, Google has opened a second Instagram account with the handle @googlepixel. With 11,600 followers, the Instagram page contains 100 Pixel camera samples shown over 414 posts. Unlike the other Instagram account, the pictures in @googlepixel tend to be on the artistic side. 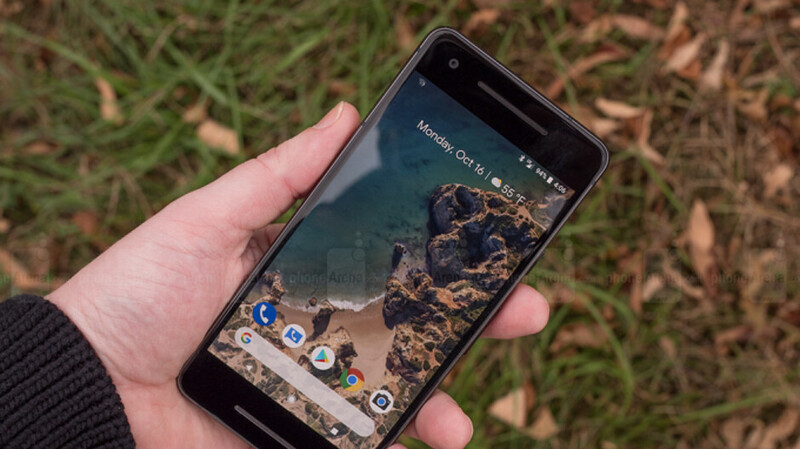 Now, how would you like to win a Pixel 2 from Google? If you're an Instagram subscriber, visit the @googlepixel page and look for any post containing multiple images. Scroll to the last picture in the post and you'll see a little message from Google. All you need to do to enter the sweepstakes to win a Pixel 2 is like (or "heart") the post, and enter a comment. A winner will be picked on October 4th, exactly one year after the phone was unveiled. The lucky Pixel 2 winner will be alerted via a Direct Message. After entering the contest, you just might want to look at the pictures posted on the account. While the Pixel handsets sport just one rear camera, the processing done by the phones does the work of two sensors. The Pixels are considered to be among the most elite smartphones when it comes to photography. The phone takes amazing photos, no joke. I'll enter it and gift it for Christmass if I were to win. I don't need two of the same phones. Dont feel like creating an instagram account. Twitter is all I need. Am I weird if I'd rather buy a Pixel 3 than win a Pixel 2? It's just... Those 2015-era bezels. The Pixel 3 (non-XL version) has them too, unfortunately. Search for "Pixel 3 official press renders". Google's hardware design chops are just sorely lacking. Nah, those are 2017-era bezels. Basically it'll look like an LG Q6/Q7 with a little extra bezel for dual speakers. I'm good with that look. Free is free, and when the camera on last year's model is better than current gen offerings by Google's competitors I see no reason to turn your nose up at the chance to get an excellent phone with one hell of a good camera. lol, well, it is your money to do with as you please. I love my Pixel 2, at first it sucked, but a couple updates later and everything work working flawlessly. I hope you enjoy your Pixel 3. I'll enter just to sell it. I don't care for the phone.